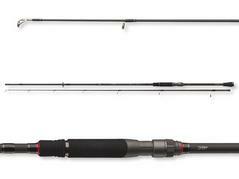 The Bay Area Commander is literally made for fishing for sea trouts – with this rod you can cast spoons of up to 30g effortlessly towards the horizon the whole day long. The rod features a tremendous elasticity and enables greater casting distances than you are used to with much longer rods! The distinct tip action in combination with the X45 carbon fiber construction buffers every headbutt perfectly! 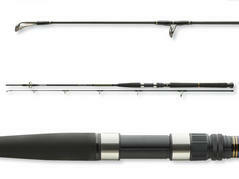 This rod is also ideally suited for light jigging with soft plastic lures for perch and zander. The Jerking Commander offers a variety of possible applications. 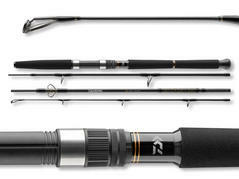 No matter if you are twitching with very small plugs for perch or jigging with small soft plastic lures for zander – this rod is suitable for a wide diversity of different fishing styles. The Jerking Commander features a distinct tip action and catapults lures of 20g to enormous distances. 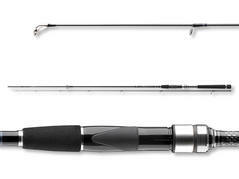 The original DAIWA Megatop tip is completely made of carbon fiber and helps passing every tap right to the handle instantaneously. 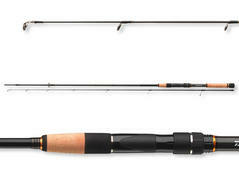 This rod is also perfectly suited for fishing with small spoons for sea trouts! 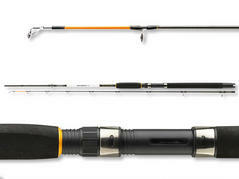 The Accudepth trolling rods are especially designed for the use of downriggers or sideplaners. 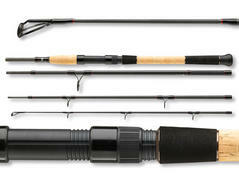 Also dipsy divers and paravan leads can perfectly be used with these rods. 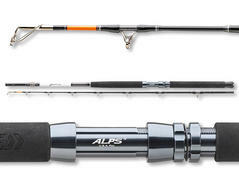 Originally intended for the catch of salmon, sea trout and cod these rods are also perfectly applicable for trolling at freshwater lakes for salmonid species, pike, asp and zander. 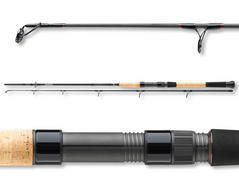 The Tanacom rods have especially been designed for the use of electronic reels. 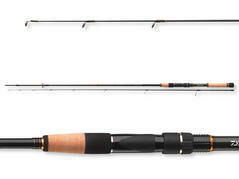 With this strong blank, leads of up to 1000g can be fished – perfect when fishing in great depth for ling and redfish. The soft tip detects also very soft bites reliably and reduces the threat of losses during retrieving. Extremely lightweight blanks, modern design, premium components and exclusive DAIWA technology – Lateo spinning rods are fishing rods for distance hunters! The combination of HVF carbon fiber with the X45 technology led to the design of very fast and distortion-proof blanks. These extra-lightweight blanks enable a perfect lure control and bite detection even over long distances and offer enormous power reserves during the fight with large specimen.